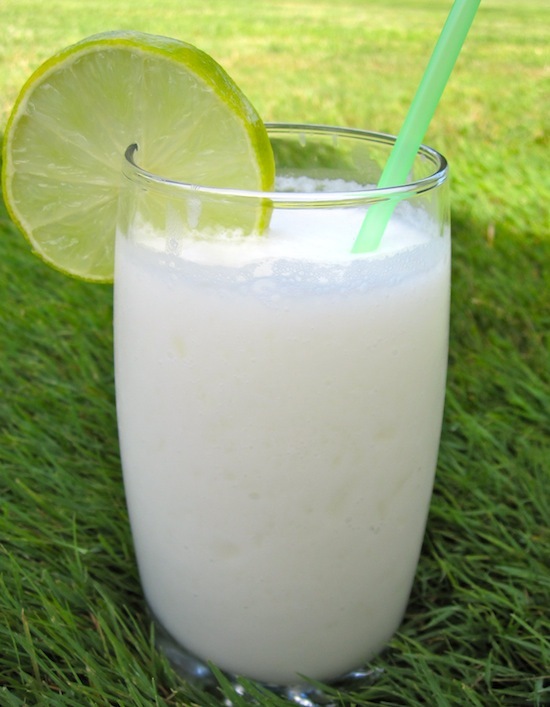 Since summer began I have been receiving e-mails from some of my readers asking me about a Coconut Limeade that they had in Cartagena and loved. Okay guys, after some phone calls to Colombia, I have the recipe for you. I don’t know how good the Limonada de Coco that my readers had in Colombia was, but let me tell you, this recipe is really delicious and refreshing. Thanks to my wonderful readers that told me about this drink and to my friends in Colombia who helped me to find the recipe for you. Though I can’t wait for the weather to cool down, this will certainly do while we wait. I LOVE Limonada de Coco and we always get it at Wok. Thank you for posting this Erica! I am making this! What a lovely combination of flavors. I love it. this Looks So Good! I Love Anything With Coconut! Wow! This is a gorgeous and fun drink! 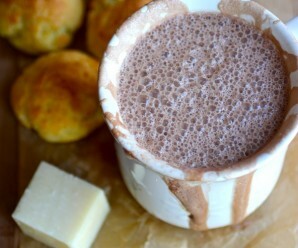 Looks delish….can I add a little rum? Oh wow, this just sounds so refreshing! I have got to make this for this evening What a treat. Jim- I have to add sweet condensed milk next time…..it sounds wonderful! Thank you! The last time I was in Cartagena & Barranquilla, earlier this year, I heard that indeed they use condensed milk, but instead of using crema de coco, they use agua de coco with lime juice and condensed milk, with ice. Now, I have to do a LOT of research to figure out the proportions! Today, I discovered that it may be good with rum, but please use the light rum, since the dark Jamaican rum makes it taste like limonada de coco with molasses…not good! if you asked me yesterday what my favorite refreshing beverage was, i would’ve said a strawberry limeade. now i’m not so sure–i LOVE coconut! Wow, this sounds like a super refreshing and delicious drink! Thanks for sharing! Looks delicious! Which brand of cream of coconut do you recommend? Is it the sweet one? Mari’s- I used coco real. Sounds wonderful, and easy to achieve; I have some cream of coconut handy so I can’t wait to give this a shot! Looks deliciously refreshing! 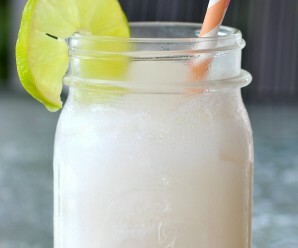 A stunning refreshing coconut drink!! esta receta se ve rikisima, me acorde cuando molestabamos en la casa cuando pedian limonada y no habian limones entonces deciamos q mejor una limonada de mango….. veo q tambien hay limonada de coco!!!! how much ingredients would i need to make enough for a spanish class of 20??? Sounds delicious and easy! I’ll try it. By the way, do you know of any other recipe for making postre de pina? not Flan, but one that seems to have pieces of pina as well as angel cake or something that looks like bread. I tried it once when I was a little girl and it was so good. Would the pineapple dessert that you described have been called a “Merengon”? I had something like this once, but it was with guanabana instead of pineapple. I’ll make it when I get back to Europe, which is next week ! I just got back from Cartagena and sat at the bar of the Montesacro restaurant at the Plaza Bolivar and watched them make this. They only used the coconut milk and sugar. After trying the limonada de coco at Montesacro, I ordered it also at other restaurants and was sorely disappointed. El Hotel Caribe’s was the worst. Erica, the recipe you’ve listed is identical to the Montesacro’s. Less sugar would be just as good. Eliseo, Thank you so much for your comment! oops… to clarify, they used the limes and the rest of the recipe but didn’t use “leche condensada”. This looks delicious, Erica. Perfect for this warm weather. I made this last night as directed in the recipe. It was very good – even better with a shot of coconut rum. I do think that next time I’ll try either the condensed milk (for the smoother & sweeter drink) or regular coconut milk (for the calories). I love the flavors of this drink but when I made it, it was too sweet for us. Is there a way to minimize the syrupy Cream of Coconut but leave the yummy coconut flavor? Christy- Just use coconut milk and omit the cream of coconut next time. Some people in Colombia don’t add cream of coconut and they make it with condensed milk and coconut milk. After walking around Cartagena for most of a (very hot) day we stopped into one of the little restaurants for a late lunch. I ordered one of these and it was like what heaven must taste like. The waitress and cook would NOT tell me how to make one. Glad I ran into this site. I am going to try this tonight. This recipe works as a good baseline! Except I don’t add any sugar. The coconut milk is sweet enough as it is. I added some pineapple and pinapple juice. Let me just say OMG!!! THANK YOU FOR sharing this recipe!!!! This is one of the BEST drinks I ever had! It will be a regular in my home now!!! I just made popsicles from this recipe, using 2 c. water instead of ice, adding some of the lime pulp and zest and some coconut flakes. 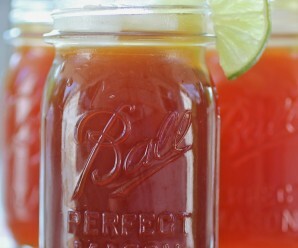 This sounds sooo refreshing and perfect for summer!! !!!! It’s better when you add shaved/ shredded coconut also!!!!! I recently visited Cartagena and Santa Marta on my honeymoon and this is the most delicious drink! My husband’s family is Colombian and he is missing this drink! In your recipe do you use coconut milk or cream.of coconut? They are very much different! Thanks! Caution. 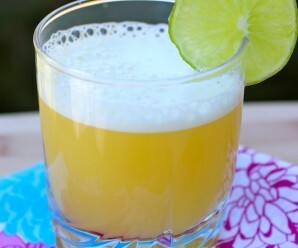 If you’re using bottle lime juice, use only three tablespoons. Most bottled lime juice labels state 3 tablespoons = Juice of one lime. That would be nine tablespoons of lime juice in this recipe. Way too much lime. I cut it down to three tablespoons. Works fine. I also used Splenda….and one shot of Cruzan Rum. Go for it. …now all I need is a beach.